Timeshares have gotten a bad reputation because some people have felt as if they were scammed. This doesn’t happen to everyone, and it doesn’t have to happen to you. A timeshare can be a wonderful purchase if you know how to find the right one. This means that it will take a little time to locate the perfect property, but you will be glad you took that time when you are vacationing in your new timeshare in the location of your dreams. 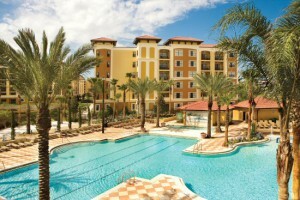 The timeshare is often touted as a great investment because the prices for these units continuously increase over time. Although it is true that timeshare prices are increasing, this price increase is limited to new timeshares. You will be selling a used timeshare, so you will not be able to ask for the same prices as owners of new timeshares. Another thing to consider is the fact that timeshare properties depreciate in value, and this happens rather quickly. At the end of the day, you may end up selling your timeshare for as little as 10 percent of the original purchase price. The cost of a timeshare is deceptively low. One of the selling points for timeshares is that your lodgings will already be paid for when you decide to take a vacation. However, you will be paying throughout the year for this property, and these expenses can add up. You will have to pay maintenance fees even when you are not using the timeshare. Another thing to consider is the interest payments if you are planning on applying for a loan. Interest payments on your loan will add a considerable expense to your family’s finances. Resort companies will tell you that you have the option of exchanging your timeshare when you wish to visit a different destination. This may be the case, but you might purchase a timeshare in an area that will not be as desirable in a couple of years as it is today. When you wish to exchange your property, you will need to find someone in another location who will agree to the swap, and this may not be possible. You will be able to list the property on trading networks, but it will cost you around $100 for each publication. Timeshares are usually presented to people in a group setting where the agent employs an extreme amount of pressure on the audience. In the beginning, they give their guests a pleasant dinner and offer them a weekend trip to one of their timeshares, but they end with a high-pressure sales pitch. They may say that the property’s monetary value is higher than it actually is and that its re-sale value is favorable to the owner. To avoid being taken advantage of, you must have them put all of their promises in writing. Purchasing a timeshare cannot be done quickly. The FTC suggests that you do some research before you sign on the dotted line. This means that you will want to have the property assessed first. Of course, you will need to visit the property to make sure that it is what you are seeking. It’s also a good idea to speak with the other tenants to find out how they like their properties. Local real estate agents will be able to give you valuable information on the timeshare in question. A very important activity would be to find out if there are any complaints about the building. A timeshare can be a purchase to be proud of if you make a point of finding out as much information as you possibly can before you buy. This will keep you from falling victim to the scammers and those who are desperate to sell their timeshares to any unsuspecting customer. Take your time finding your new vacation home, and enjoy the satisfaction of making the right choice.